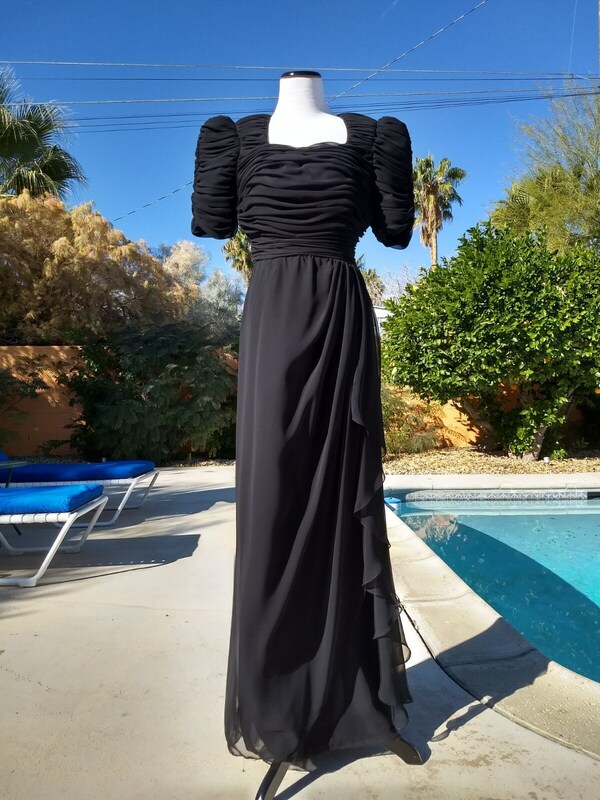 Gorgeous 80's Miss Elliette Black Chiffon Maxi Gown. 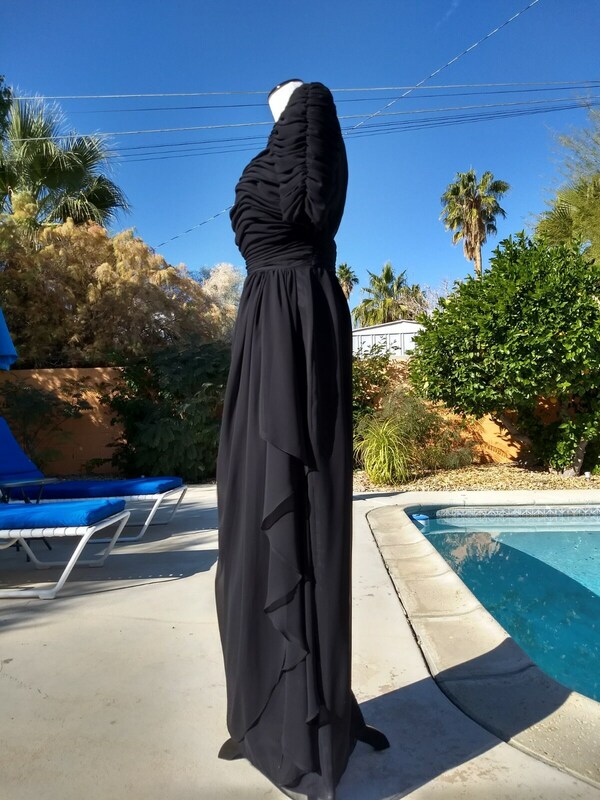 This is a lovely and elegant gown and is in very good/excellent vintage condition. It has a flattering neck line,ruffled sleeves,a dainty back enclosure at the waist and a lovely drape. 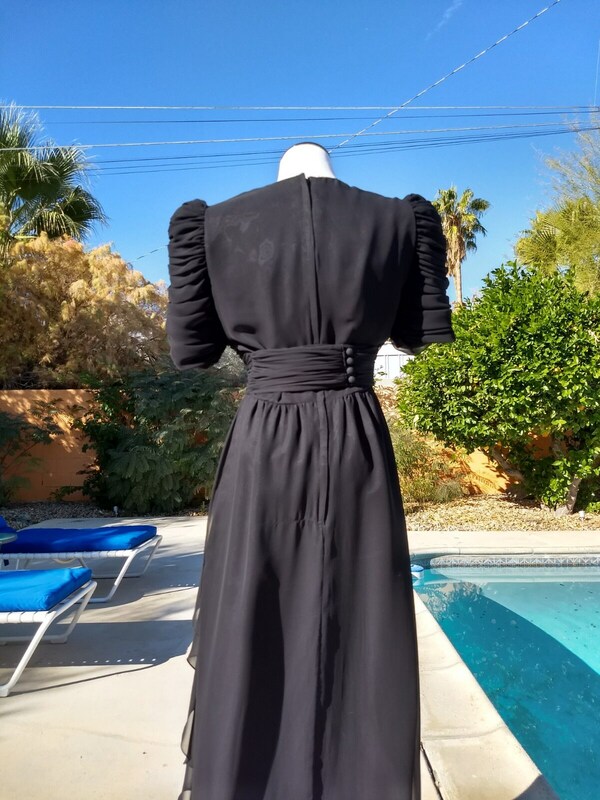 Ir is black,is lined and is really a beautiful piece of 80's vintage clothing perfect for that special occasion.It is shown on a size 2 mannequin and fits to a t with really no give at the waist or bust line. 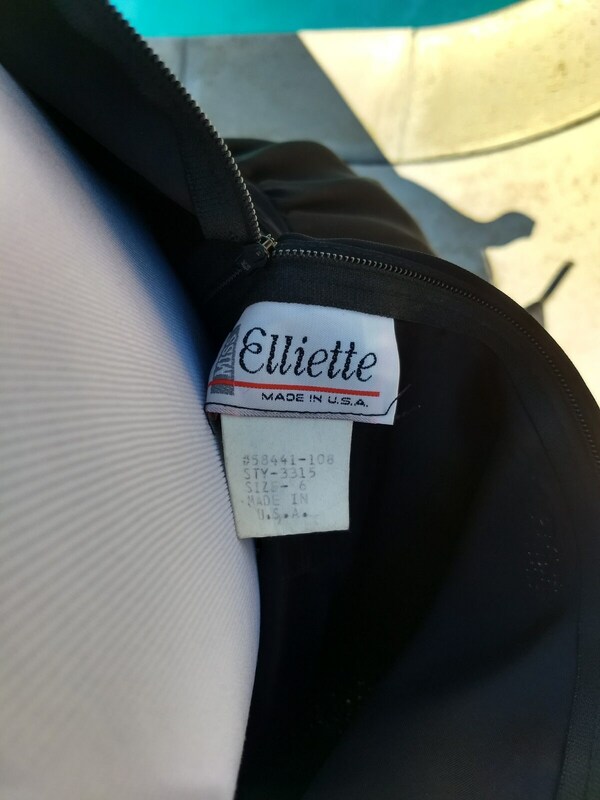 Miss Elliott dresses are becoming quite difficult to find so this is really a special dress. Please message if you need further details.